Hyposalinity is not new to the aquarium industry and has been used for the treatment of marine fish diseases for many years. The most common salinity used and cited in the literature is 16ppt. Hyposalinity is also commonly used as a relatively short- term bath to shock osmoconforming parasites, causing them to fall off of the host. This treatment has had mixed results based on opinions of different facilities and individuals. Hyposalinity has been extremely useful at the Oklahoma Aquarium’s quarantine facilities. All of the teleost (bony) fish systems are maintained at 11parts per thousand salinity (1.008 SG) with the exception of the north pacific cold water systems. Low salinity is not used or recommended for elasmobranchs such as sharks or rays. As found at the Okahoma Aquarium hyposalinity plays a large role in the prevention and treatment of disease. Hyposalinity is also theorized to help in the osmoregulation of fish with abrasions and damage tothe mucus layer. 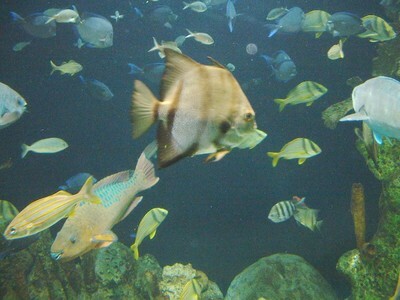 At the Oklahoma Aquarium, the use of hyposalinity has been modified from what is commonly used to a longer treatment. 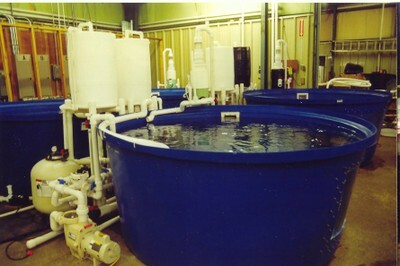 This treatment lasts throughout the time the fish are in quarantine, typically 30 to 45 days pending any disease occurrence. Salinity in the systems are also maintained at 11ppt. 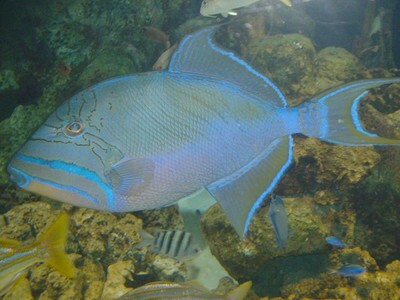 At this salinity, the Oklahoma Aquarium staff has seen a more rapid resolution of disease such as cryptocarion. The lowered salinity has also proven to be more consistent in preventing reoccurrence of a disease as well as new outbreaks. When new acquisitions arrive at the quarantine facility, the main acclimation concerns are pH, temperature, and detoxifying the free ammonia. The acclimation process brings the salinity of the newly arrived fish down gradually although this is not the determining factor in introduction of the new acusitions. On several occasions we have received large numbers of fish at the same time all being introduced into an empty system. In these cases, the tank in which the new fish are being introduced to is acclimated to the newly arrived animals. The pH and temperature are adjusted down according to the arriving transport boxes. Salinity in the new tank is at 11ppt (1.008 SG) and the new arrivals are typically between 30 and 33ppt (1.023-1.027 SG). After adjusting pH, temperature, and detoxification of the ammonia, the animals are introduced into the tank. This is an immediate drop of 19 to 22ppt. These animals have shown no signs of shock or stress outside of what would be considerednormal through shipping and handling. Quite often, species generally considered delicate and touchy to acclimate have done well in 11ppt and feed normally the next day. In the two years the quarantine facility has been in operation, only one case of cryptocarian has been seen. 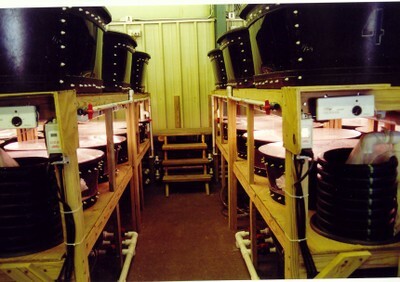 In this case, the salinity of the system was at 16ppt through an improper water change. Not only has cryptocarian been eliminated as a quarantine concern, the external trematode and protazoal infections have been reduced as well. The significance of holding all of the quarantine tanks at 11ppt has been the inability of these parasites to gain a foothold and reproduce. This has been valuable in preventing the recontamination of systems that might have occured if salinity was raised at some point through quarantine. No noticeable difference has been seen in internal parasitic infestations or bacterial disease. This was the expected result as the internal tissues would maintain a static osmolar concentration. Moreresearch is ongoing in these areas, although it is too soon to tell if any significant changes are occurring. 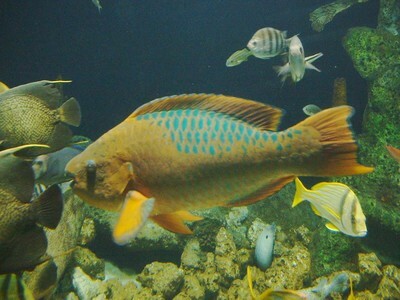 Fish on exhibit at the Oklahoma Aquarium, all of which went through the low salinity quarantine described in the article. The other advantage that is of great interest with hyposalinity, is the reduction of osmotic stress on fish with abrasions or lesions. In theory, the reduction of the osmolar gradient between the internal tissues and the surrounding environment would be beneficial to injured mucus and epidermal tissue. This reduction in the osmolar gradient, in theory, greatly reduces the loss of water from the fish to the surrounding environment. The ability to maintain hydration in an injured marine fish too small to administer fluids could prove very beneficial. Many more studies, which are ongoing at this time, and sample collections remain to prove this theorized aspect of low salinity. In conclusion, the benefits we see with 11ppt low salinity water have proven to be very useful to the quarantine of warm marine teleost. The advantages it offers the aquarist in disease prevention and treatment are very promising. The ability to treat multiple systems through a non-invasive approach for some very common diseases can also save time and money for a large quarantine system. Many more studies are needed to fully evaluate the benefits or disadvantages of 11ppt quarantine. Colorni, A. 1985. Aspects of the biology of Cryptocaryon irritans and hyposalinity as a control measure in cultured gilt-head sea bream (Sparus aurata). Disease of Aquatic Organisms Vol 1:19-22. Colorni, A. 1987. Biology of Cryptocaryon irritans and strategies for its control. Aquaculture, Vol. 67(1-2): 236-237. Goodlett, R. and L. Ichinotsubo, 1997. Salinity and pH adjustments for quarantine procedures for marine teleost fishes. Drum and Croaker, Vol 28:23-26. Editor’s Note (Frakes) 1994. Treatment of Cryptocaryon irritans in aquaria., SeaScope Vol. 11, Summer. Kollman, R. 1998. Low salinity as a quarantine and treatment of marine fish parasites. SeaScope, Vol 15, Spring.